Randolph and Baldwin maintains two distinct assembly areas to meet the specific quality requirements of today’s market. The hardware and insert assembly area, located in a separate facility from our machining and fabrication shop, is where various mechanical inserts, helicoils, rivets, and specialty items are installed. 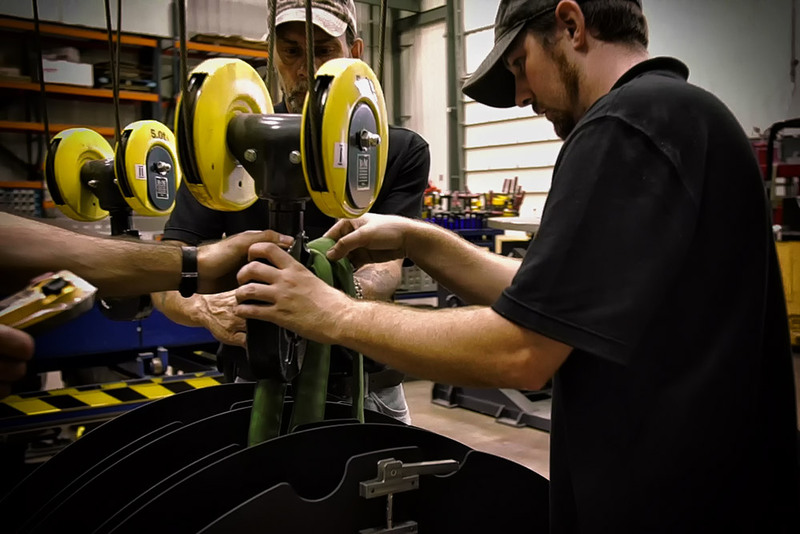 It utilizes its own tool and fixture inventory and is positioned on a rubber membrane floor designed to prevent drop-damage to inserts and tooling. The current hardware inventory is immense and can meet most immediate customer needs. The second area is dedicated to assembly that requires an additional level of cleanliness. Processes requiring adhesives, gasket placement, clean soldering, or specialized packaging are performed in this enclosed work area. Delivery conflicts are minimized with a large stock of a variety of EMI gasketry and specialty adhesives. All electro-mechanical assemblies including terminal installation, electrical connectors, soldering, inserts, hardware, gasketry, EMI shielding, gluing, and bonding. With tooling capabilities and experience assembling small and large parts, Randolph and Baldwin is able to provide assembly services for custom small scale prototype or repair projects as well as large scale production projects. Accompanied with an experienced team of inspectors and state of the art inspection tools, we routinely are able to comply correctly to engineering specifications. For more information on Randolph and Baldwin’s Assembly services, please contact us.